A post-doctoral researcher at the University of Lucerne has written that the Justice and Development Party (AKP)-run municipality in Istanbul has invested much more in areas where the party won last time around than where it lost. The effect is particularly prominent in marginal seats, Resul Ümit said, giving voters for opposition parties an incentive to swich tactically in order to benefit from better local infrastructure. The hypothesis being tested, Ümit said, arose after Istanbul Mayor Mevlüt Uysal said that he would give priority to building metro lines in AKP-voting areas. “I have analysed the investment plan of his Istanbul Metropolitan Municipality (IMM) for 2018, and found evidence that Mayor Uysal was probably right the first time around: Istanbul’s money seems to go where AKP voters are,” Ümit said. “But there is no evidence for his second statement: his administration invest less in the safe AKP districts." 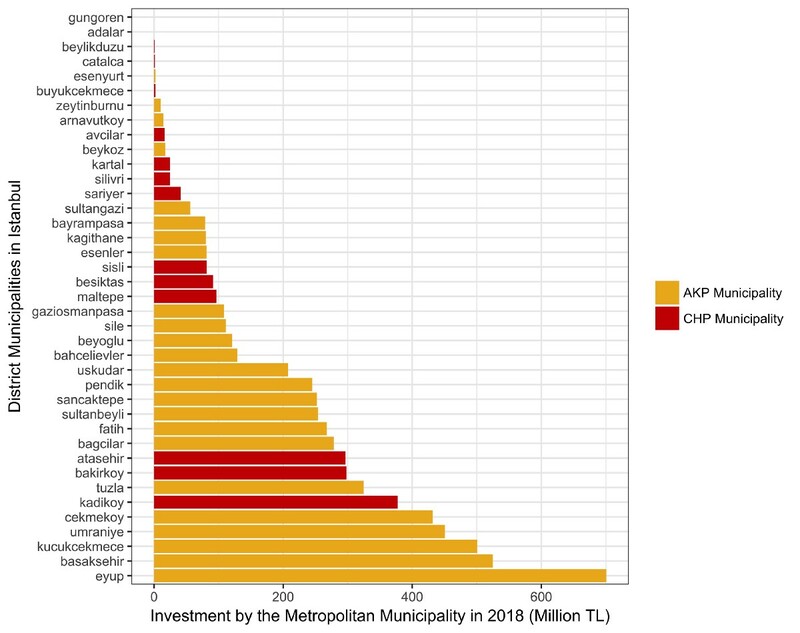 “With or without the additional controls, the results are substantively the same: on average, AKP municipalities are predicted to receive over 200 million ₺ more than the CHP municipalities,” Ümit said.